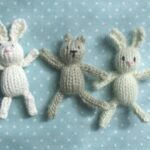 A little while ago, we shared a little Felt Softie Rabbit pattern with you – Pip Squeak (6) has a LOVELY time making her little bunny in a bed. 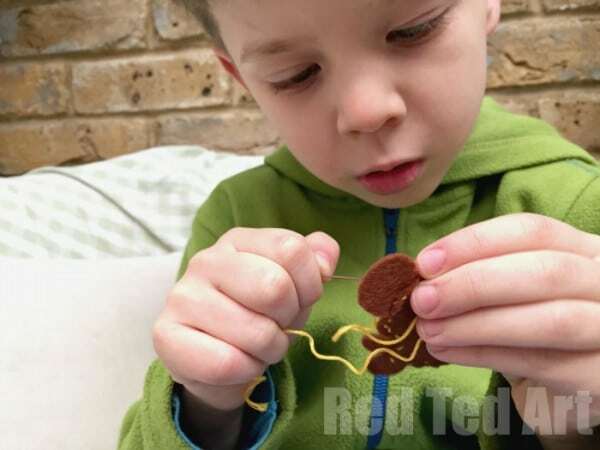 So when Red Ted (8) came home HE wanted to make one two. 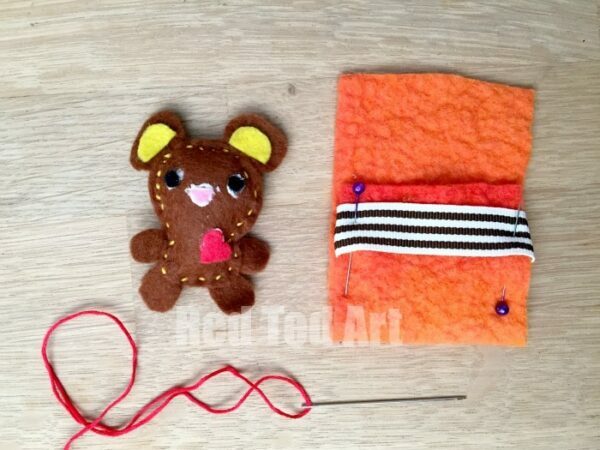 As per usual, he wanted his to be different.. so he asked to make little Bear Felt Softie. Aren’t they cute together? 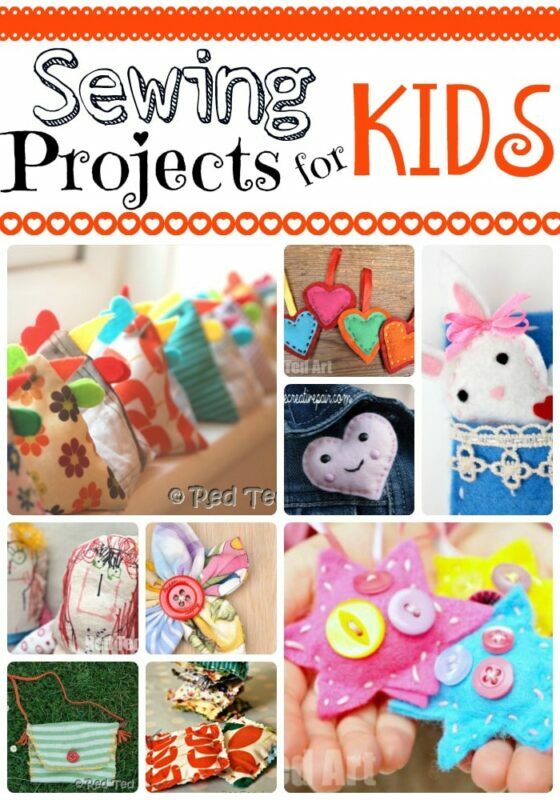 I love that Pip Squeak’s sewing is REALLY encouraging her big brother to have a go and shows that BOYS sew too. You just have to find the right patterns and colours that appeal them. 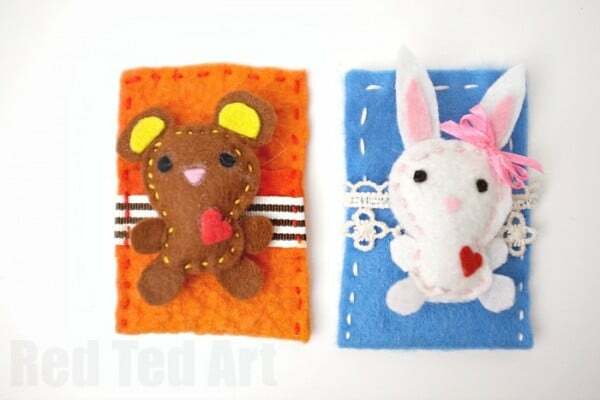 I also find, that Pip Squeak is able to concentrate a little longer (she is more “into” sewing), but I am happy for Red Ted to do half a project and for me to finish it, if it means he does any sewing at all! 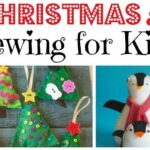 Check out this super popular How to Teach Kids to Sew article for top tips and tricks, as well as our other Sewing Projects for Kids! 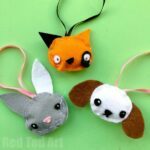 I hope you like our felt softies free patterns! 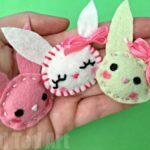 Cute out all your pieces… in hindsight…. 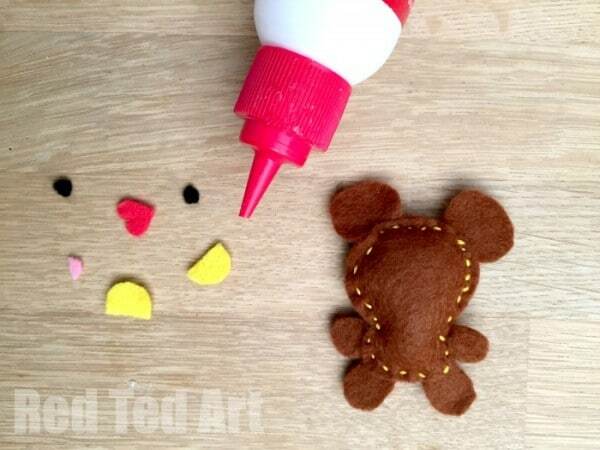 if you are sewing with kids, you MAY want to make one piece of your bear include all the arms, legs and ears.. this gives the final felts softy a different “feel”, but it is easier to sew. 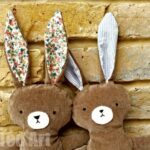 Alternatively, make sure they are a little “longer”, so you can “tuck” more of your arms, legs and ears into your seams! 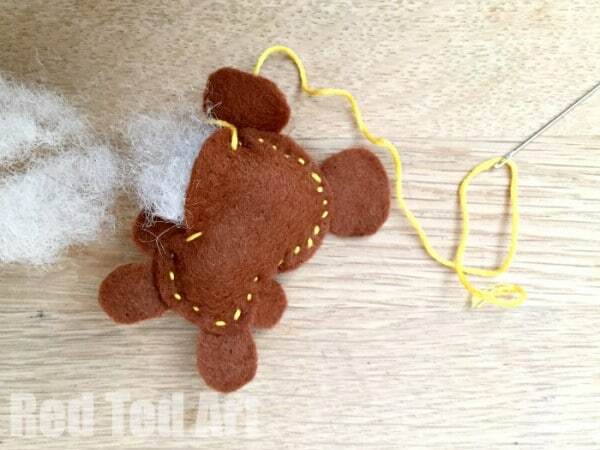 Using a simple running stitch start sewing around your felt bear softie. Leave a little opening on the side for stuffing and well, stuff! Glue on your eyes, nose and heart! 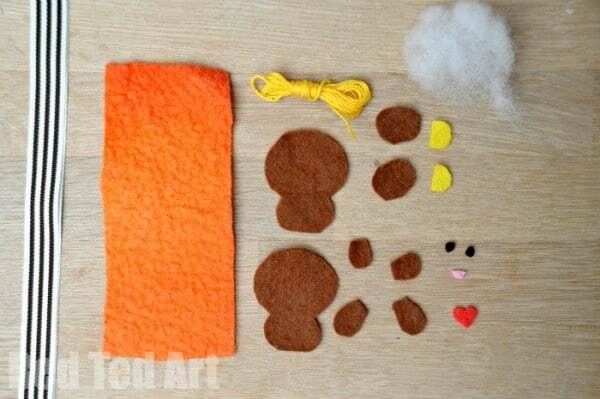 Then make a simple bed out of rectangular piece of felt. Sew up the side, across the top and down the other side again. 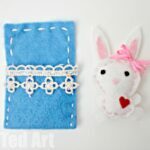 If necessary, add a few stitches to keep your ribbon in place. I had to make the bed for Red Ted, as he had run out of sewing patience by now! But that is ok!! 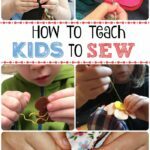 I think that is totally fine – as kids should ENJOY sewing and it is a crucial part of teaching kids to sew… so let the kids to as much or little as they wont, but keep them interested! 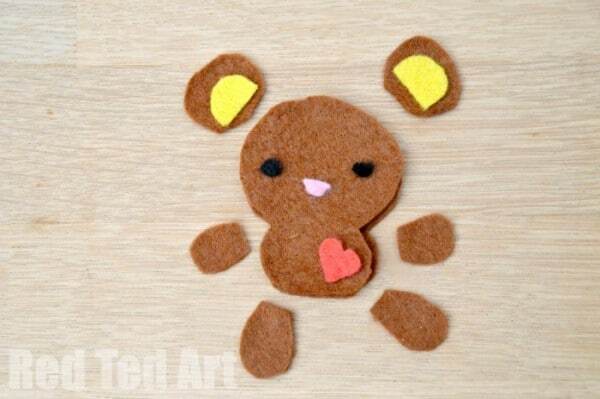 I hope you have a go at our mini cute felt softies bear!!!! 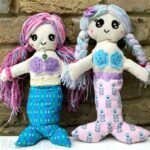 more patterns coming soon! Don’t be scared to pick up that needle and have a go!! !